If you wish to sign up for new services today, or wish to have us contact you about programs & pricing, simply click the link to the left that reads "Click here to Request an Estimate!" Once your information is entered, select which programs and services you would like information & pricing on. One of our staff will contact you shortly to answer your questions and provide ideas and prices. Don't forget to select that you want your FREE Lawn & Landscape Analysis. With this free service we will examine your property and give you an evaluation of how your lawn & landscape is doing. There is no obligation with this service, and we are happy to provide it. If you have further questions, please call us at (260) 486-1587. Setup auto-pay service to streamline bill payment. Customize your lawn and mowing program. If you are looking for Landscape Design, Installation, or Renovation services only and are not yet ready to try our Lawn & Landscape Maintenance offerings, click this text and it will forward you to our Landscape Estimate Page. From there you can receive your FREE Design & Installation Consultation. You will need some information from your most recent invoice to register your property and get setup. 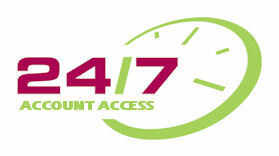 Once setup, you will have complete access to your account. It is that easy. If you are having any trouble with setup or login, please call our office at (260) 486-1587 and someone will be happy to assist you.